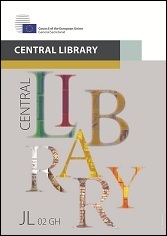 The Library blog has been integrated into the website of the Council of the European Union: http://www.consilium.europa.eu/en/library-blog/. All previous blog posts published in WordPress are kept, but there will be no more updates. This link will take you to the new Library blog website where you can subscribe and manage your account.